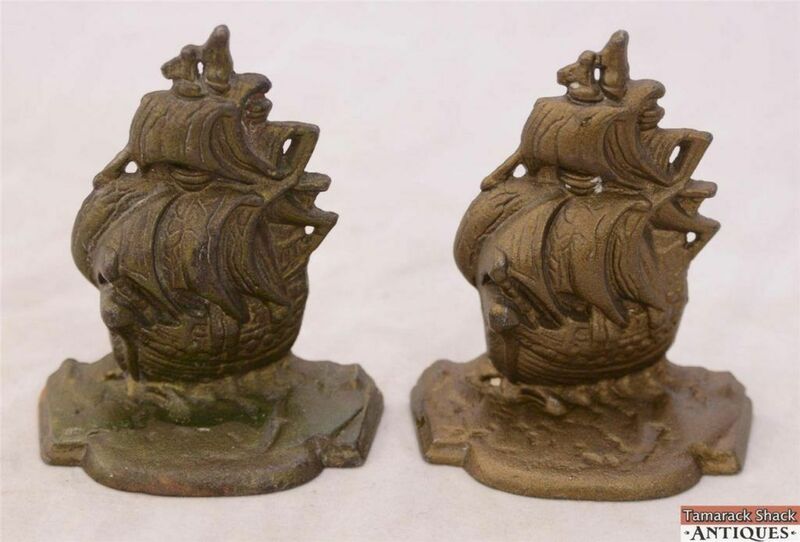 For your consideration is this matching pair of Ship, Cast Iron book ends labeled. 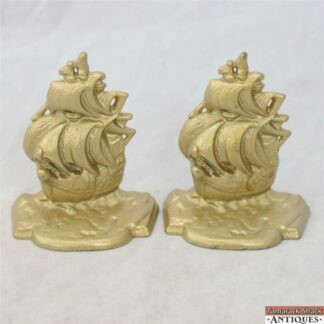 Description: Each book end features a Ship sailing at sea. Some bronze colored accents. Measurements: 4″ tall, 3 1/4″ wide. Condition: Very nice antique condition, no chips, no breaks. Please see the pictures for details.